Asian stocks have fallen overnight and we are very light on figures today. 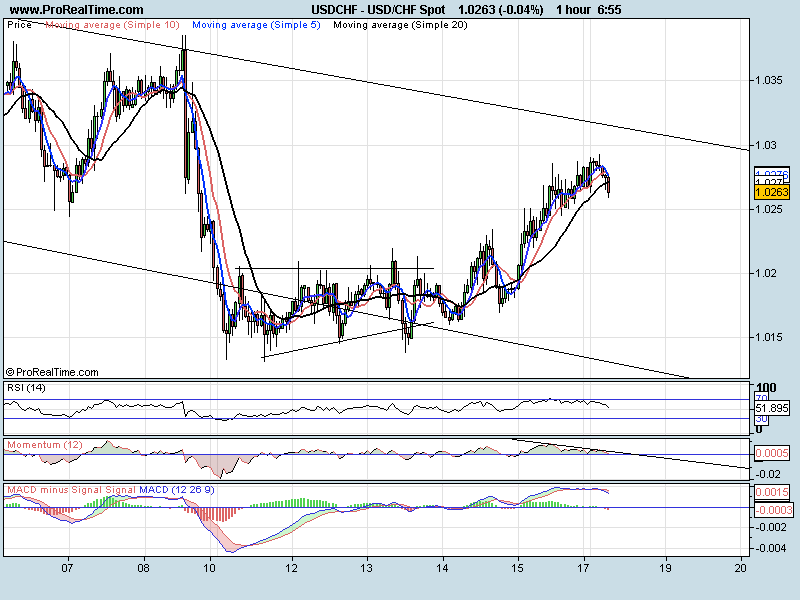 EURUSD has pushed higher out of the descending channel but only to form a doji at 05.00am. Just trying to break through the 20 SMA at the moment (1.4371). Most indicators are still looking bearish but are showing possible signs of a reversal. Head and Shoulders breakouts will normally target the base (1.4265) but we have strong trend line support at 1.4308 before we could target that. We have a lot of resistance to the downside. 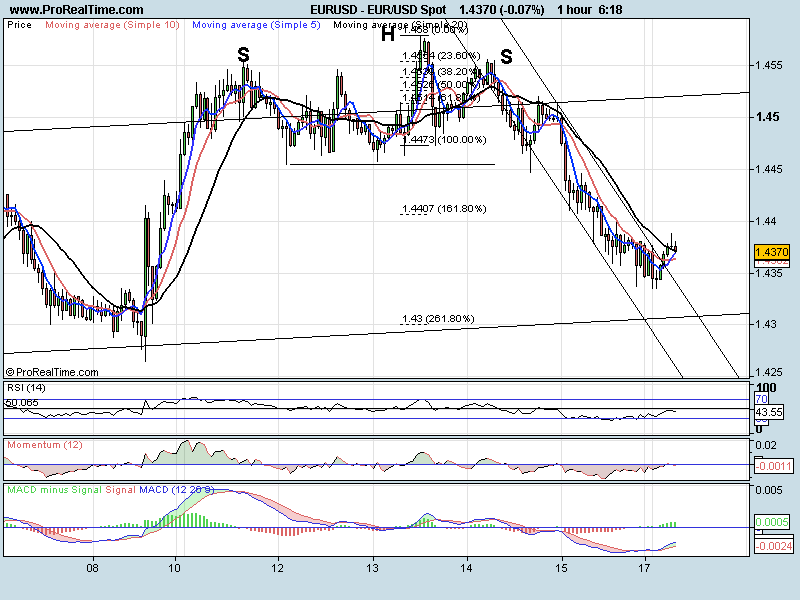 If we stay in a bullish trend then I would look to target 1.4455, was support, now resistance. This ‘should’ be in a choppy three wave sequence. 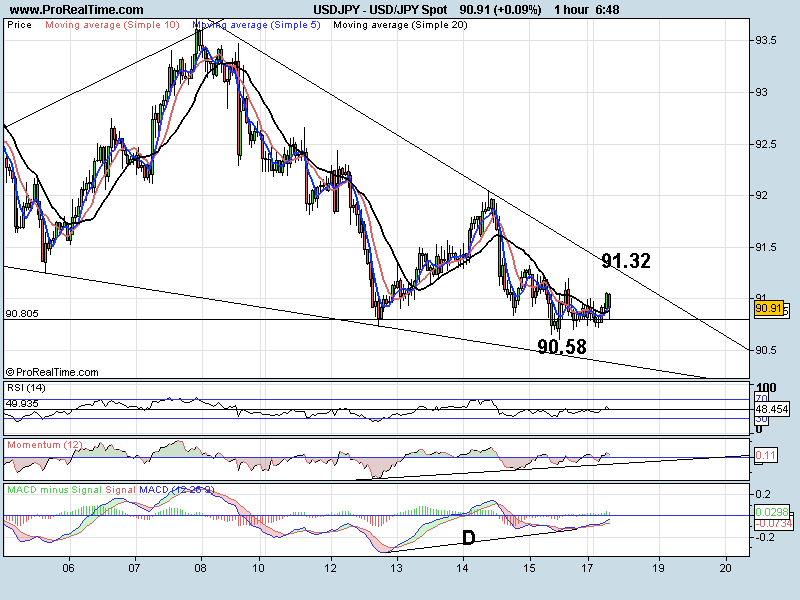 USDJPY has stopped around its previous low at 90.80. We are also showing divergence to buy when we hit the low at 90.58. We have lost all momentum to the downside and have formed a large downward wedge formation which favours a break to the upside. Wedge formations are very hard to trade. As long as we stay inside the wedge then the trend is lower with lower highs and lower lows but we should be aware of a break of the descending trend line, currently at 91.32. A break there should target 92.03. To the downside, 90.36 should be the next support. We have moved higher and stopped short of the trend line resistance (1.0316). Although we have moved higher we have lost momentum since Friday (lunchtime) and are just holding above the zero line now. We are starting to look bearish but I think this will just be a correction before the next leg higher. We do however need to see a break of major trend line at 1.0312 to keep the bullish bias. 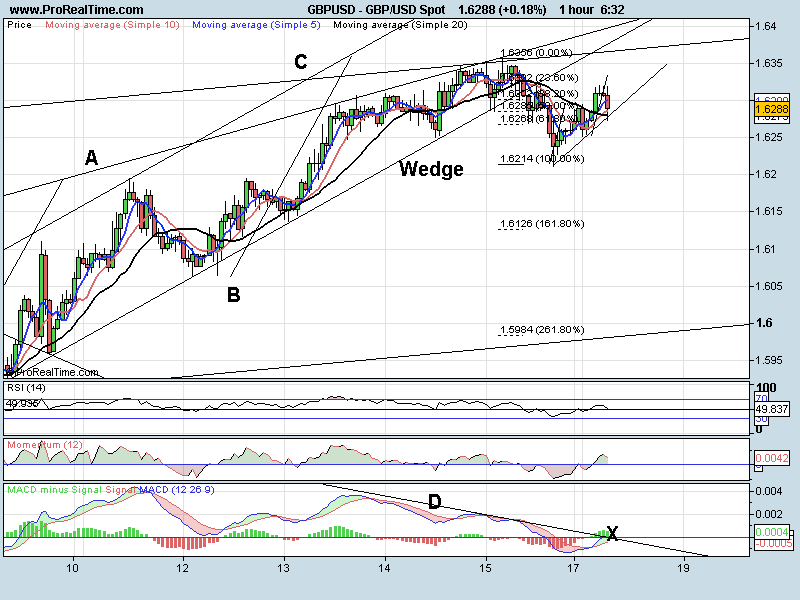 A correction lower and I would look to 1.0235 and 1.0204 as the target area.